In a distant kingdom long ago laid a secluded, peaceful mountain village, untouched by the ever changing world around it. The villagers, however, know only one thing: Leaving is not an option; for any who do, will find themselves in the grasp of a mysterious dark curse. That is until the village’s only child, a young boy, begins to uncover strange messages from an unknown source. These messages are seemingly warning him of a darkness, guiding him towards something, something mysterious, something that will forever alter his legacy and those around him. Will he take up the blade and embark on a treacherous adventure to become the hero this forsaken kingdom needs? Or stand back as he watches the mistakes of the past be repeated once more? The Untold Legacy is an engaging, atmosphere drenched action-adventure RPG, with a bright and colorful art style set in a surreal and often creepy setting. You will be brought to tears as you uncover the twists and turns in this emotionally story-driven experience that will leave you shocked and surprised as you discover the secrets the world of Touchstone has to offer. Explore this breathing and vibrant open world, as you tackle dungeons and overcome obstacles in any order you deem necessary, in this non-linear adventure. Become immersed as you encounter the kingdom inhabitants and help them in meaningful and rewarding ways that promise only to enrich the game experience. Face off against a plethora of unique monsters and bosses, as you combine strategy and skill with real time fast paced combat, that will reward you with every landed blow. Drawing from the experiences in our everyday lives, The Untold Legacy sets out to recreate some of the most heartfelt and gut wrenching moments imaginable. Using the latest in advanced lighting, animation, and particle effects, The Untold Legacy is set to truly bring a living breathing world to life for your enjoyment. Due to the technologies being used, we are able to seamlessly blend or combine animations in ways that will make the world feel more natural and alive. Everything is 100% handcrafted and designed with the utmost care, from the art, puzzles, enemies and secrets. It’s all been strategically placed for the greatest experience possible. Tackle any obstacle in any order you wish. We won’t hold your hand, nor would we want to. Whether it is the game's main story, or a side stories, it’s completely up to you to decide what to do, and when to do it. A vast open world to explore from creepy forests, caves, swamps, mountain tops, snow covered wastelands, deserts, temples, hidden shrines, haunted houses, castles to the various dungeons that fill the world - all of which is at your disposal from the very beginning. Just like in the real world, nobody starts off as an unstoppable warrior. Begin the adventure and watch as our young protagonist transforms himself from a feeble boy, to an epic hero. Just when you thought it couldn’t get any better we made the combat faster and more intuitive, making it possible for you to feel like more of a hero than ever before. Music and sounds beautifully orchestrated from scratch for each and every occasion. Whether it is a meaningful heartfelt moment, or an all-out battle to the death, we will leave your ears satisfied. A completely unique and fresh set of items designed specifically for this adventure. Whether it is a puzzles, or combat, you’re sure to be pleasantly surprised to see what's uncovered. Puzzles are built into the very core of the game. They are tailored it to fit perfectly with every skill, item, enemy and weapon at the player’s disposal, resulting in the most engaging and intuitive puzzles possible. 9 uniquely designed dungeons each with their own set of enemies, puzzles and bosses. A plethora of enemies, all with varying degrees of attributes, behaviors, difficulty and skill. Research and study them well if you have any hopes of overcoming them all. Iconic Games is a small independent development team of 3 who have been working together for years. The team consists of 1 artist, 1 programmer and 1 musician. The game draws inspiration from many popular titles, ranging back to the classics of the 80’s, up until the console behemoths and indie titles of the present. 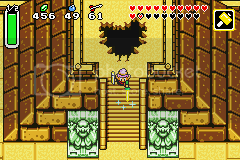 One of which will draw the most obvious of comparisons is the action-adventure defining series, The Legend of Zelda. As massive Zelda enthusiasts ourselves, it has been a major influence for this game and will no doubt be a treat for long time fans of the series and newcomers alike. Although this game has some obvious influences, it is not a clone or cookie cutter project - at every turn we are injecting our own flavor and unique ideas. 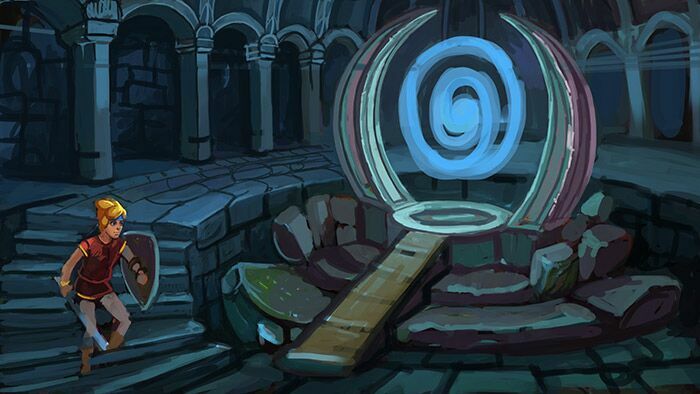 From the story, combat, items and puzzles we are finding ways to expand and enhance old ideas, as well as insert completely new concepts to create a unique experience for today’s players. Looks very promising so far. I'm wondering, what is your logic behind your platform choices? What are you developing it in? Can't wait to see updates! I'm curious, do the platform choices seem odd to you? We are developing the game in Unity so we can pretty much develop for every platform. Currently Ive been approved as a developer for the Wii U and I can just release to the other platforms. Of course we would have to be approved through steam greenlight to get on their platform but I think that it will be fairly likely. If the opportunity arises we will of course plan to release to xbone, ps4, Nintendo 3DS and so on. Those are (shockingly) a bit harder to get on. Kind of funny considering how closed off Nintendo has been in the past. Once I have our trailer ready I may try and reach out to each of them again and see if we can get something worked out. Haha, I guess I'm not used to seeing "PC/Mac/Linux" alongside Wii U. It's not a big deal or anything, was just curious. Good choice with Unity. If you ever need help with Unity stuff, let me know! Oh haha. Well we may very well need help. What sort of experience do you have? We are just a team of 3 at the moment. Over the past couple of weeks I have been devoting most of my time to working on the games various animations. In Untold Legacy I am really wanting all the characters to show strong characteristics as well as fluid animations. I'm achieving the animation style by using a variation of meshes, skewing and a skeleton. All of which is setup in an animation program known as Spine. By using spine this will allow us to manipulate the character in realistic and dynamic ways within the game world. Just a few examples: when the hero is running through a village he will turn his head in a realistic manner to look at objects of interest, his hair can be effected by wind, and the hero can have various facial expressions while playing the game. Imagine his eyes darting around or the heros facial expression changing to match the setting. Pretty exciting stuff isnt it? His animations will also blend in fluid ways. Normally when seeing 2D animations in a game you will see a series of animations switch. But by using spine it has allowed us to "blend animations". Meaning the hero can go from a natural walk cycle into a run cycle. Some of the other advantages to spine is we can easily assign props to the hero such as a sword or shield. Making it very easy to swap items and if needed alter existing animations. You can even add event listeners so Stefan (our) coder knows when to activate certain instances. For example when to initiate the player jumping, when to play certain sound effects or when to initiate damage. So yes the technology we are using is awesome. It really opens up a lot of doors and allows us to do things you normally couldn't. Now on over to the code end of things. Stefan was largely working on the games prototype. We did have a working build from before but we made some big changes in the gameplay/design (just prior to the games official announcement) which resulted in Stefan restructuring the whole thing and starting from scratch. In the end this will for sure make things more organized and structured. We wanted the game to be as unique as possible so we implemented jumping into the mix which will make progressing areas and combat more unique. Below you can see we have dynamic shadows, fluid spine animations (placeholder), z mapping, jumping and a touch of 2D normal maps. On the other end of things we have also been hard at work with some concept art for some rather important locations in the game. By help I mean just offering some tips - I don't have the time to dedicate my full attention towards a team at the moment, haha. I'm a professional developer, been in the industry for 5+ years. I've been working with Unity for almost 2 years now, and work with it full-time as well. So yeah, if you're stuck with something, just let me know and I'll see if I can lead you in the right direction. Just that if we get stuck I may ask for your opinion. By the way we broke the top 100 on indieDB. Was ranked 26 for a moment . Thats pretty exciting stuff in my opinion. Hey, this is looking pretty cool. Great work so far to you and your team. Keep up the good work. Thank you. Any praise is greatly appreciated. I know there isn't a ton to see yet but I promise more is on the way. I expect everyone will be thoroughly impressed. Just popping in to say this project looks fantastic! Thank you for the comment . Its so motivating to here kind words after working alone in a cave so long. Its incredibly reassuring when anyone is doing anything creatively. You guys just know every bit of feedback is hugely appreciated! No matter how small. I posted a 2nd Devlog last night. Were in the top 100 of IndieDB and with your guys support I think we can maintain that! 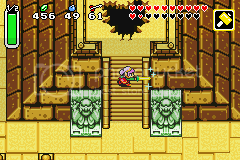 Looks excellent so far~ The z axis on a 2-D plane strongly reminds me of Startropics 2, Terranigma, and Alundra. Look forward to seeing more C=. Thank you so much for the comments. We have a big update coming soon and I cant wait to show off everything we have been working on. The game is really coming together nicely. On another note we have a featured article on Armed Gamer in regards to The Untold Legacy. You guys should check it out. It may give you some insight to our games development. Were back with a new update from The Untold Legacy. We have been really busy this past week and have a whole bunch of new goodies to show off. 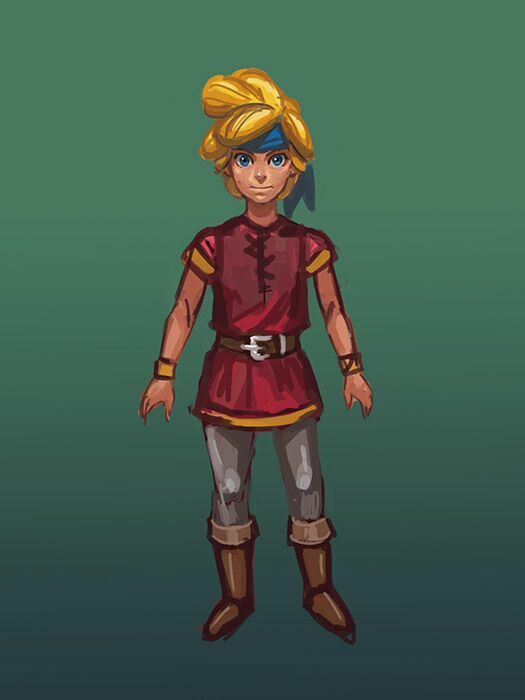 I worked on a handful of animations, new game art, some major game design decisions as well as story/quest oriented stuff. Over on the code end of thing we began to implement some of my animations so we could get a feel for everything and decide if any tweaks were needed (they were and still some are needed). But overall things are headed in the right direction and I feel like its all coming together. Animations are by far one of my most favorite things when it comes to a games development. Thats when a static character begins to move and feel alive. A personality is beginning to be formed and the game is beginning to take on life. Its a truly wonderful thing when you see your creations come to life and often go directions you never imagined, but I gotta say when it comes to this game it has been incredibly daunting. The sheer amount of work ive done and still ahead is massive. Since im working in spine all the animations take a good amount of extra time to set up and this is compounded by me having to switch back and forth from the various angles in the game. Each character will have 4 angles and should move in a realistic fashion. The hero is by far going to be the largest amount of work. Right now I have done well over 60 animations per angle. Which results in over 240 animations and im not even half way done yet. Below are some older test animations. These were primarily made to test how the player could move and react within the environment. Some of these will even be blended with existing animations for even more natural movements. Imagine this being combined with a running animation so the hero can look at something of interest. Below is an animation adapted with the 3D like head turn. Its one of the new animations I worked on this past week. I spent the week working on various weapon based animations. Here the player looks focused as he draws back the bow and closes his eye. You can see the other 2 angles below where I had to painstakingly make sure the animations were aligned properly and in sync. Here is an animation that was made so I could bring a little more personality to the game. The player will realistically react to none playable characters and events in the game. Whether it be a conversation with a character or he sees a terrifying monster we plan to have the appropriate response. The game is chalk full of animations created specifically for moments like these. And now on to the Attack animations. From the start of this games development I wanted a really engaging and fast paced combat system. So it was crucial that the animations were quick, readable and looked great. Here is my first run at the x3 attack combo. As you can see its not bad, but this actually ended up being way to slow when tested in the game. We need immediat reaction upon button press and this just didn't cut it. Below are the updated versions after testing in game. With the animations sped up, tweaked and some event listeners added it became 100% better. I also worked on how the player would use the shield, aerial attacks as well as some powerful finishers. This is just a little bit of what we have done over the past week. Ill update this thread more during the week with more of our progress. About that final stab for the combo, it seems way too short range. The character should take more of a step forward, leaning as far forward as they can for maximum range. Take a look at Link from a Link to the Past when he's at the stabbing portion of the slash. I'm going to elaborate on Koh here after agreeing with his point. It also looks like the hilt of the sword is directly in front of the character's mouth rather than coming from the chest. This is beautiful. I hope you complete this project and release it. Hey guys! I really appreciate the feedback. Ive noted your suggestions and ill see what I can do about extending the reach of the final stab combo. I appreciate the feedback! We are still hard at work on the game. We have actually been going over some story elements and finalizing that. Ive got to say im really happy with the games story and the game design choices we have made. 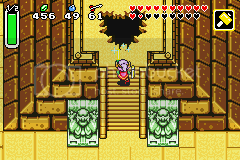 The game will draw its obvious Zelda comparisons but it really is its own game. I hope we are even able to surpass it in some ways. (thats the goal anyways) Ive always felt Zelda games lacked in the story department so its been a strong focus in Untold Legacy's development. Im incredibly anxious and excited to get the game in front of you guys asap. Page created in 0.104 seconds with 68 queries.